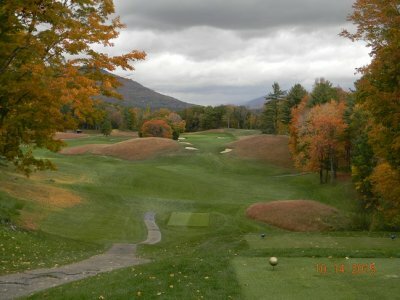 Ekwanok Country Club is a private, 18-hole golf course located in beautiful Manchester, Vermont. Ekwanok was designed by Walter Travis, in 1899. This is a seasonal position and the employee typically works from early April until the end of December. Weekends and the ability to work in all weather conditions is a must. We have a small, seasoned crew where everyone gets involved in all aspects of high-end golf course maintenance. 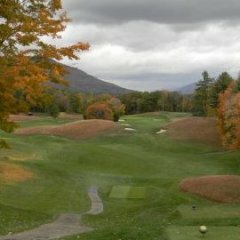 Ekwanok Country Club is a private, 18-hole golf course located in beautiful Manchester, Vermont. Ekwanok was designed by Walter Travis, in 1899. Weekends and the ability to work in all weather conditions is a must. We have a small, seasoned crew where everyone gets involved in all aspects of high-end golf course maintenance. We will train those who do not have much experience. Ekwanok Country Club is looking to hire seasonal (April thru October) grounds crew members. This position requires 30-48 hours per week, performing general tasks for the grounds department. The new employee will be required to work outside in all types of weather conditions. Further job description and details will be discussed during the interview process. This opportunity is terrific for those who have an interest in working outdoors and bonus if you love the game of golf. Please submit credentials and/or a brief description of your current employment goals for the season. Looking for a seasonal employee for remainder of the season and maybe beyond. We are a small crew and you will be requested to do a number of different tasks. Position is available now and will last through Thanksgiving and possibly to the end of the year. Weekend work is a must.